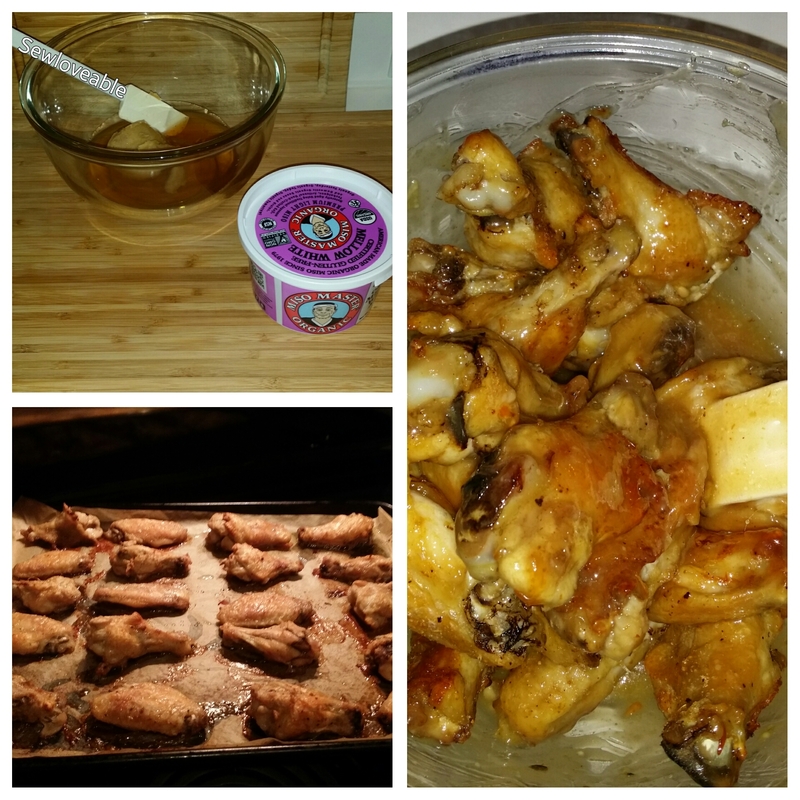 My oldest daughter has an obsession with chicken wings/wingettes. Sometimes I feel like she is making up for years of not liking chicken at all. One day a family friend got her to taste a chicken wing while we were attending a party they hosted. From that day on this girl has had a serious love for wings! 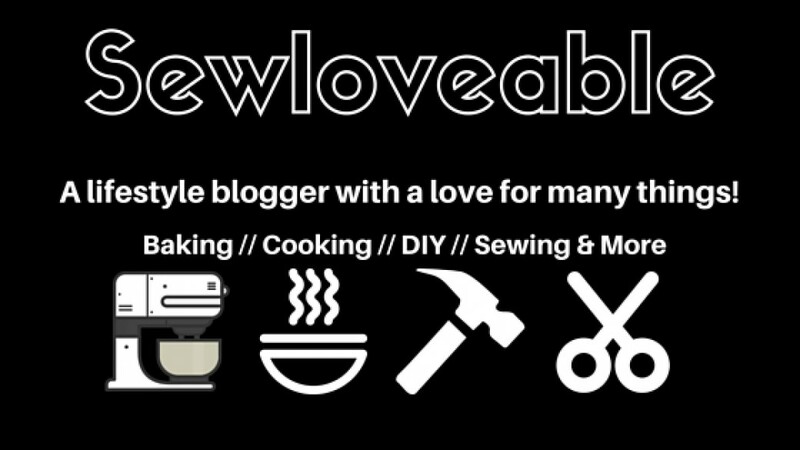 Since she has such a serious love I am always looking for unique and new ways to prepare them. 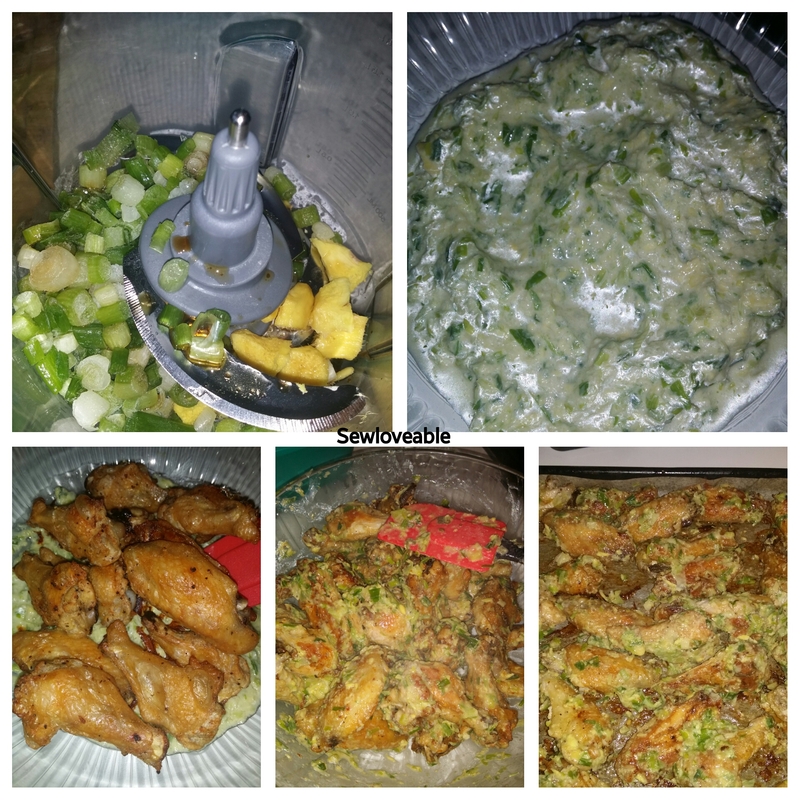 So I am here today to share my latest kitchen creation with you. In a small bowl mix the following. Line baking sheet(s) with parchment. 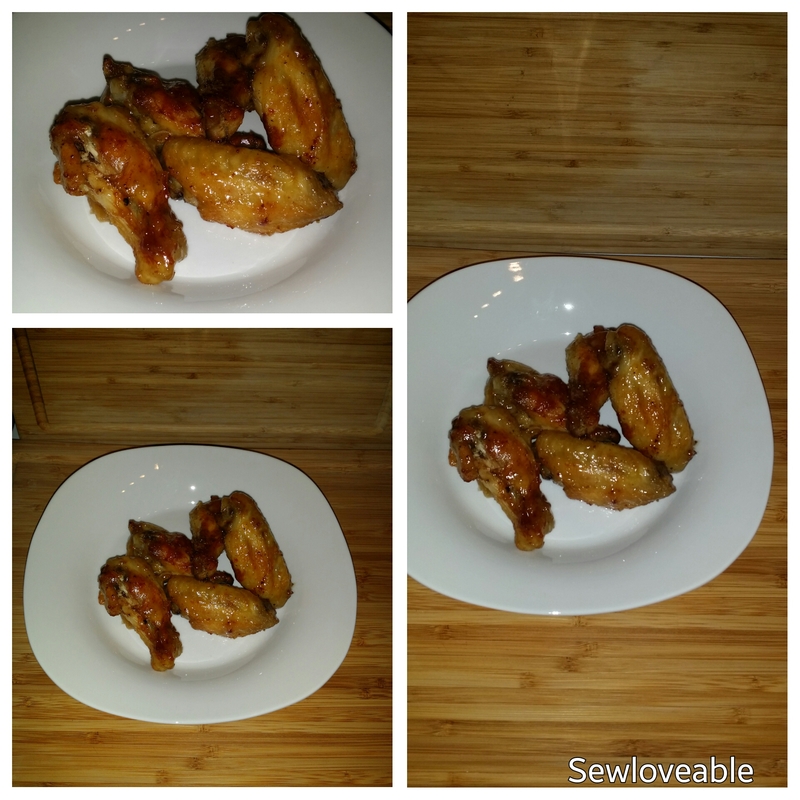 Place your clean, drained and dry wings in a large bowl. Add your avocado oil and seasoning to your chicken and toss to evenly coat each piece. Pour your scallion sauce/paste into a large bowl. Once your wings are done add them to the bowl and toss to evenly coat the wings with the scallion/ginger mixture. Place the wings back onto your baking sheet(s) and pop them back into the oven for 5-10 minutes to set the sauce onto the wings. 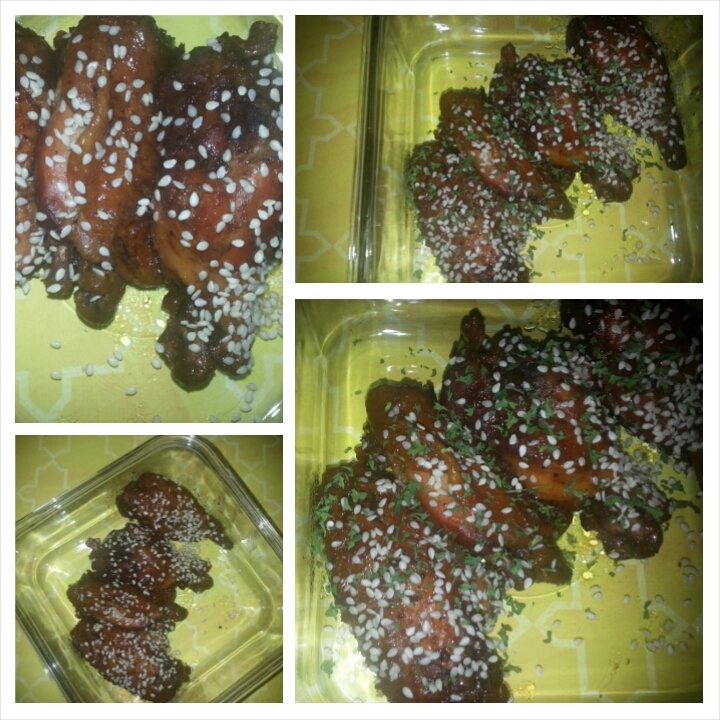 I was recently reminded, that I have not made Hot Wing’s in a long time. So I decided that since my oldest is learning to cook she should give it a try. 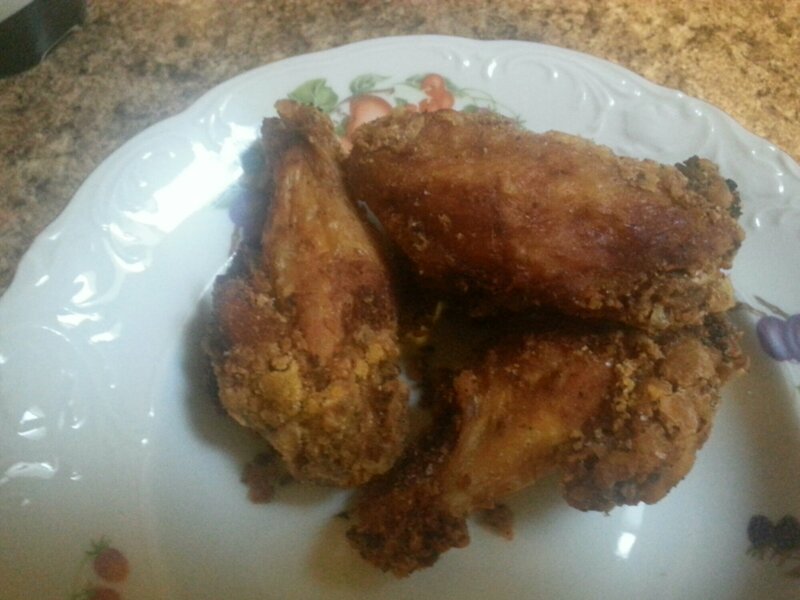 She has already mastered my Oven Fried Chicken, so I knew she could handle making the Hot Wing’s. 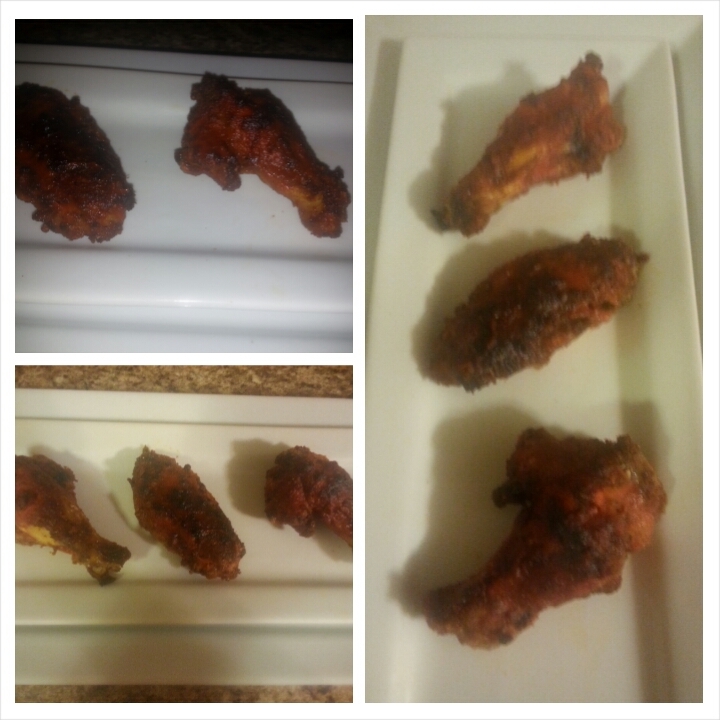 I am happy to say that she did a phenomenal job and the Hot Wing’s were delicious. So let’s jump in and see how this tasty dish is made. I use frozen Natural wingettes from Costco. In a large bowl I soak about 24 wingettes in cool water and ½ cup of apple cider vinegar. The vinegar helps in pulling out and impurities. I use vinegar when cooking chicken or turkey. After the chicken has unthawed we are officially ready to begin. Get a small bowl and pour all your spices into the bowl and stir to get everything evenly mixed together. Your chicken should be dry in a large bowl. Add all your spices from the bowl. Now take your hands and massage the spices all over the wingettes. 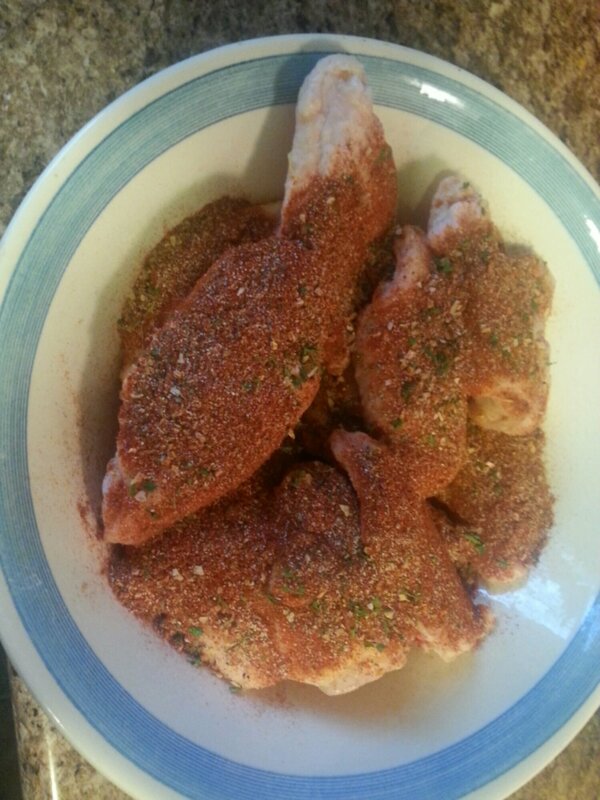 Be sure that each wing is evenly coated with seasoning. Place into your Pre-heated 450° oven for 45 minutes to and hour. 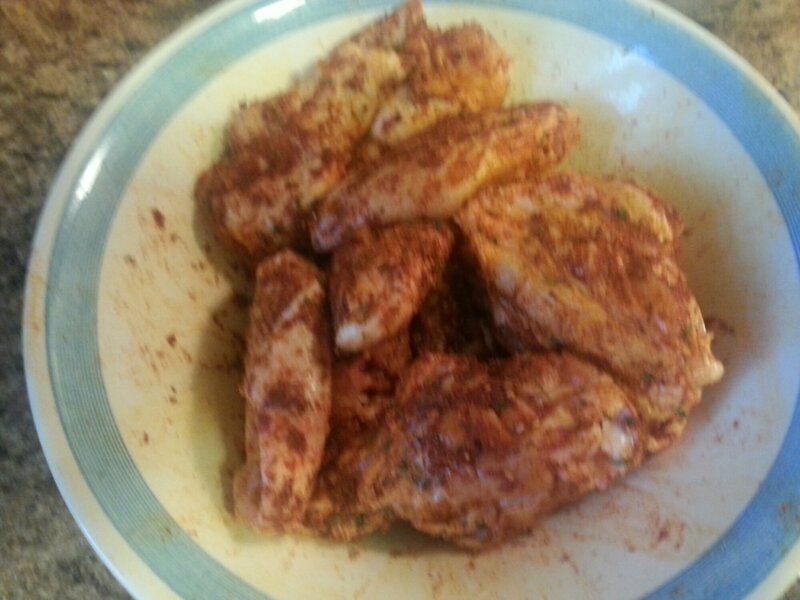 5 minutes before your wings are done, make your hot wing sauce. In a small pot on medium high heat add your hot sauce and butter. Once the mixture is warm and butter melted it’s done. This takes 5 minutes or less. Once the wings are done and removed from the oven. Pour your sauce over the chicken and place back into the oven for 5 minutes longer. Once they are down allow the wingettes to cool and enjoy with your side of choice or as an appetizer. So this recipe is perfect for those times when you forget to unthaw your food……but you have an idea for a great dish. This is exactly how this dish came about. In a sauce pan add the honey, brown sugar, balsamic vinegar, amino acid, garlic, ginger, sriracha and black pepper to taste. Bring the mix to a boil, then lower the temperature and simmer for 5 minutes (until the sugar dissolves). Remove from heat and allow to cool for a 2 minutes. Place the chicken into the crock pot. Pour the sauce over the chicken and move the chicken around so that it is completely coated with sauce. Put the lid on and cook on high for 5 hours if using frozen chicken and 4 hours if your chicken is unthawed. Flip chicken a couple of times during the cooking process. 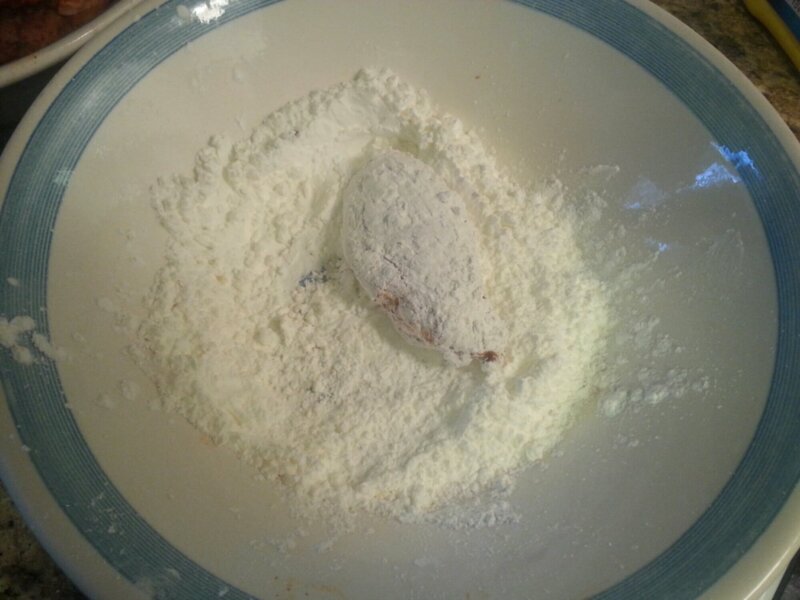 Once finished cooking, remove the chicken and place in a medium bowl. Now in a small bowl, mix together the cornstarch and 2 TBS of the liquid from the crock pot, then pour into the crock pot with the leftover sauce. Mix together well, place chicken back into the crock pot and let cook for about 10 minutes (or until the sauce starts to thicken up). Just before serving, sprinkle with sesame seeds. This dish was a special treat for my daughter’s aka sous chef. My girls “LOVE” wingettes and I am always looking for new way’s to make them. All the while teaching them how to cook. Last week we were on youtube looking for some recipe’s they would actually eat, we were successful. It can be trying to find new thing’s for them to try, since they are super taster aka very picky eaters. We now use the term super tasters instead of picky because of a school assignment. The assignment breaks down why some people are selective eaters, etc. I must say the assignment was very informative and gives me a better understanding on their food likes and dislikes. Now that we are informed let’s jump into the wingettes that were a must try. I have fried wingettes before but never with this technique. This technique made the wingettes very crunchy and juicy on the inside. Clean wingettes and dry thoroughly. ( I soak my wingettes in water and 1/4 cup of vinegar) for 20 minutes and dry. Place in a large bowl. While your oil is heating, add your seasoning to the wingettes and fully coat each wingette. Roll the wingettes into the cornstarch and fully coat. Fry in small batches of 4 to 6 wingettes at a time for 10-12 minutes. Remove and place in a bowl lined with paper towel to drain excess oil. Once your wingettes have been fried once it’s time for the second fry. Place 4 to 6 wingettes back in the oil for another 10- 12 minutes. Once done immediately add salt. Drizzle with (honey or maple syrup and a few dashes of hot sauce) Boy oh Boy these are a great treat every once in a while. 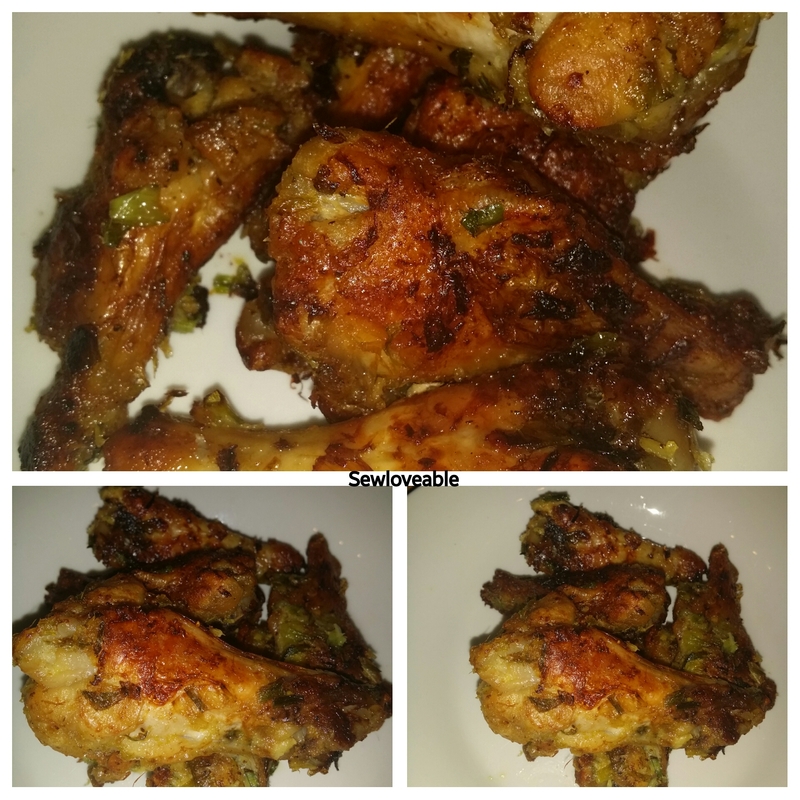 New Recipe added to the menu……….my family loved, loved, loved this. I just happen to be online and I saw recipes for Korean Style Chicken. I had to give it a try. The issue with most of the recipes was that, they were mostly fried. 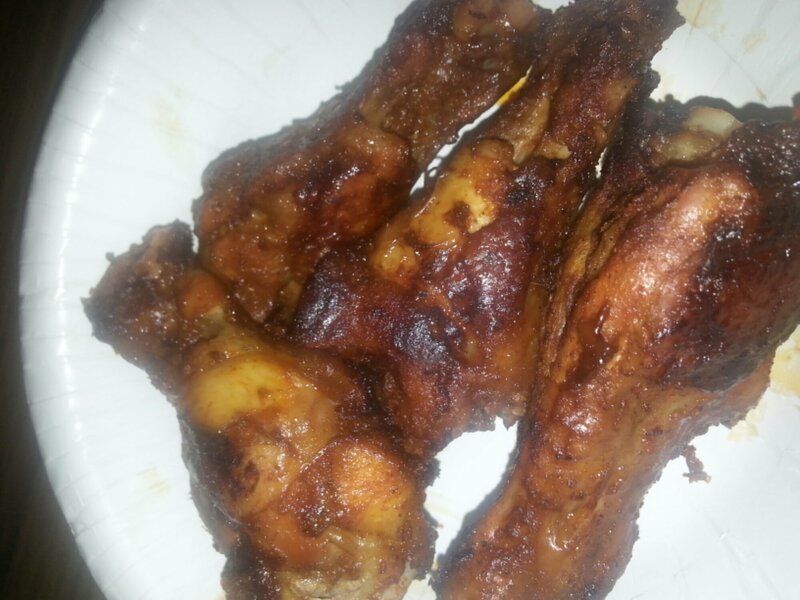 Since fried food is limited in my house…….I had to find a way to make it healthier but not loose the flavor. So I found a winner that allows you to have the best of both worlds………..flavorful and healthier. 1/4 cup apple cider vinegar or vinegar of choice such as rice wine etc. 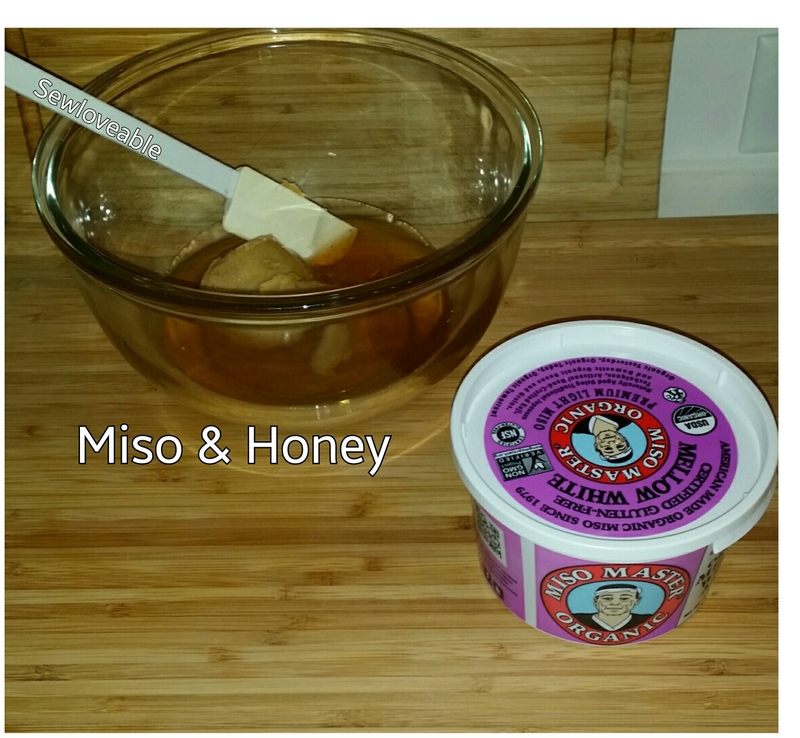 mix soy sauce, vinegar and seasoning in a large bowl…….add wings and thoroughly coat wings with the mixture. Let this marinate in the refrigerator for 30 mins. You can even marinate over night for deeper flavor. Line a baking sheet with parchment paper. 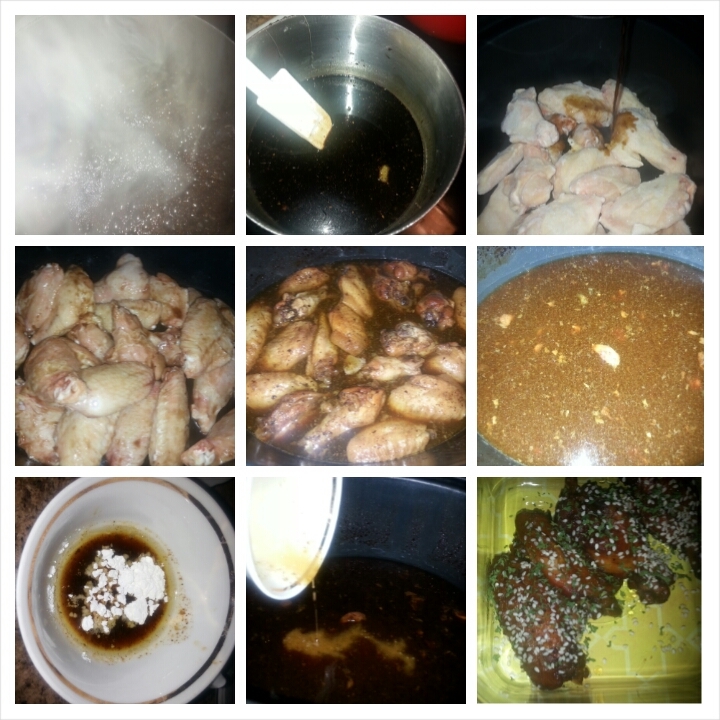 Place the wings on the sheet and pour on the remainder of the sauce over top of the wings. Bake at 475 degrees for 45 mins to an hour.